Description: Get GREEN TSUNAMI, the horror/SF novella at a 50% discount! Description: Get THE BOX JUMPER by Lisa Mannetti at a 50% discount! Description: Get INSIDIOUS ASSASSINS at a 50% discount. Get it while the sale lasts! Description: SOMEONE WICKED: A WRITTEN REMAINS ANTHOLOGY now 50% off! Description: UNCOMMON ASSASSINS now at a 50% discount. Get it while the sale lasts! Description: The first ZIPPERED FLESH is now at a 50% discount! Description: ZIPPERED FLESH 2 now discounted at 50%. Get it while you can! Description: Get Lisa Mannetti’s THE NEW ADVENTURES OF TOM SAWYER AND HUCK FINN at a 50% discount. Also in the Smart Rhino sale, INSIDIOUS ASSASSINS, which has a story of mine in it, “The Labyrinth,” about myths and terror in modern-day Crete. In all, eight books will be included along with that and ZIPPERED FLESH 3 (with my “Golden Age” closing out the contents, see November 10, et al. ), the others being the original ZIPPERED FLESH, THE BOX JUMPER, GREEN TSUNAMI, BROKEN: STORIES OF DAMAGED PSYCHES, and THE NEW ADVENTURES OF TOM SAWYER AND HUCK FINN (both Adult and YA editions). This will be for Kindle editions only, starting at $0.99 each at midnight, Friday, December 1 and ending at midnight December 8. But the thing is, the way these countdown sales work, the prices will gradually increase until they reach the original list price, so it’s best to buy early — again, starting midnight, Friday, December 1. Then also this Friday, December 1, DEADMAN’S TOME CTHULHU CHRISTMAS SPECIAL AND OTHER LOVECRAFTIAN YULETIDE TALES (cf. November 26, et al.) will be officially released, to celebrate which . . . well, let’s let Editor Jesse Dedman explain in his own words: This Friday Marchese and I will host a live drunk reading where I’ll consume a mass amount of shots. The amount of shots I consume is totally up to the number of pre-orders we receive! Can my liver take it? Will I wake up with regret? Will I wake up in the front yard completely naked, again? Let’s find out. He goes on to say you can listen to the reading yourself Friday night at 10 p.m. CST by using this link, or catch the recorded version of the show afterwards on Spreaker, iTunes, YouTube, and other podcast apps. But to reiterate, the degree of drunkenness he plans to attain is dependent on how many pre-orders CTHULHU CHRISTMAS SPECIAL receives, for which (if one wishes to egg him on, or just order the book early for yourself) press here. TOMBS: A CHRONICLE OF LATTER-DAY TIMES OF EARTH postulates an exhausted, dying Earth with a climate increasingly hotter each year, a result, some speculate, of a sun that’s slowly swelling and getting redder. One story, in fact, alludes to an exodus of part of humanity centuries, perhaps millennia before. But what comes after that, that is after the sun has become a red giant, the Earth has been swallowed, and now the sun is shrinking back inward. Could the exiles return? Well, in terms of the story, we’re not nearly that far in the future by a long shot (truth to tell, if we’re going to bring facts in, even red-gianthood would still be billions of years off itself), but . . . maybe they could, according to Avery Thompson. To find out more, one can check out his “Here’s the Last Place Humanity Could Ever Live” via POPULARMECHANICS.COM, including its own link to a 6-minute Youtube presentation on white dwarfs, by pressing here. So what the heck, it’s the first review posted on Amazon’s site (including nine words omitted from the Facebook quotation) and can be found here. If you do too, prepare yourself for an emotionally wrenching 93 minutes. Right from the start — a woman dreaming of herself, pregnant, being driven to the hospital by her husband — about to crash! Amelia’s son, we find out, was born on the day her husband died and even now, ten years later, she has yet to put it behind her. This puts her into a love-hate relation of sorts with her son, and the son, who’s a little bit weird himself, doesn’t always help matters. He still fears monsters in the night, half the time ending up sleeping with mom — that is, when either of them gets much sleep. His bedtime routine includes checking the closets and under the bed, with mom there beside him, who must also read him a story after she’s tucked him in. He invents lethal weapons (and hoards firecrackers) against the time a monster might actually make an appearance. He has no friends and, partly because of him, mom doesn’t have that many friends either. He makes a pact that he’ll protect mom, and insists that his mother promise that she’ll protect him too. This last is important. THE BABADOOK is an ugly film, it’s an uncomfortable film. Because between actress Essie Davis’s all too realistic playing of her part and writer-director Jennifer Kent’s* concept, what I was watching seemed very much like a woman not so slowly going insane on the screen. And what must her son think? — yet he doesn’t seem all that stable either. It comes to a head when mom tells son to pick a book from the shelf for her to read for his bedtime story. He grabs one neither has seen before, a pop-up book called MR. BABADOOK. It is not a good book for children frightened of monsters, because it tells of a creature that knocks, and knocks again, and once it’s let in it is not a good thing — and “you can’t get rid of the Babadook.” And the kid goes practically catatonic. But how much is real, and how much is still only imagination? Things start going bad fast: Mom has to take her son out of school. She has him examined by the doctor, gets a prescription for child tranquilizers, makes an appointment for a psychiatrist in a few weeks. But in the meantime the two of them have to survive together, under repeated strange happenings that appear more and more to indicate the Babadook is coming! He (it) does, it all reaching a head in one horrible night when mom almost kills her kid, the kid wounds and ties up mom — or has mom become possessed by the Babadook herself? And what then when the boy “turns” — or is the Babadook something external, pulling the child away physically once mom has started to calm down? It’s here where it breaks, maybe an hour and a quarter into it, when something primal brings Amelia onto the attack — her part of the pact, her son before with his wounding and tying and prior misbehavior having done his best to protect his mother. But what of the Babadook itself? And was it real, or just symbolic/psychological? Here I would make a guess, that it is real, a physical being, but born as a manifestation of (mostly) Amelia’s psychological monsters (note to readers: Find a very old science fiction fan and ask them about “Monsters from the Id” from the 1956 film FORBIDDEN PLANET), which she, on the eve of her son Samuel’s tenth birthday/death of her own husband/the father Sam never met, finally needed to come to terms with. It’s a scary movie on several levels, and if you like scary movies, see it! Even if you think you know what may happen. Then one more thing, the scene at the end, or “you can’t get rid or the Babadook.” On the walk home I recalled another movie at the IU Cinema late last year, THE LIFE OF PI, about a young man who’s trapped on a lifeboat with a tiger, and its turning point with his realization that he can’t tame a tiger — but he can train it. And so it may be, too, with Babadooks. Then in a quick unrelated matter, Thursday afternoon my contributors’ copy of INSIDIOUS ASSASSINS (see January 21, 2, et al.) arrived. “Here you will meet some truly insidious characters — characters you may find yourself applauding when you know you shouldn’t. . .” the back cover of the very handsome volume from Smart Rhino Publications tells us. No sign on the contents page of Mr. Babadook though. *Like Ana Lily Amirpour’s A GIRL WALKS HOME ALONE AT NIGHT (see January 10, et al. 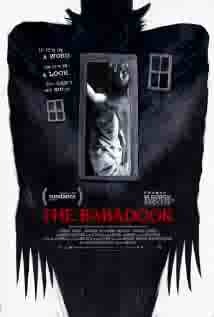 ), THE BABADOOK is Australian Jennifer Kent’s first feature-length film. One suspects both directors will bear future watching. In addition there will be a “release party” on Facebook on Friday with some of the authors, etc., perhaps stopping in, and reachable, unsurprisingly, by typing in “INSIDIOUS ASSASSINS Online Release Party.” And if, as the publisher suggests, one should have bought both books, my contributions are “The Wellmaster’s Daughter” among the UNKNOWN and “Labyrinth” in the one that’s INSIDIOUS. Then from Aaron J. French, the long-delayed “omnibus” combined anthology MONK PUNK & THE SHADOW OF THE UNKNOWN (cf. August 21) is finally due for release in print and Kindle this Tuesday, January 6th, from Hazardous Press. “I’m sorry this has taken so long. We had some formatting issues with the length (the book is over 500 pages! ), which took a long time to work out, and then the cover art needed to be reworked. . . .“ My offering in this one is from the SHADOW OF THE UNKNOWN side, titled “The Festering,” and has to do with problems with plumbing. “The Table of Contents of the INSIDIOUS ASSASSINS anthology is now complete! I accepted ‘The Absinthe Assassin’ by JM Reinbold earlier this week, and just accepted ‘Tantse So Smert’Yu (Dancing With Death)’ by Ernestus Jiminy Chald . . . The antho will include 24 stories (with a mix of suspense, thriller, horror, fantasy, science fiction) and will be more than 400 pages! My outing here, “Labyrinth,” takes place on the island of Crete and melds modern-day politics with the myths of the Ancient Greeks. 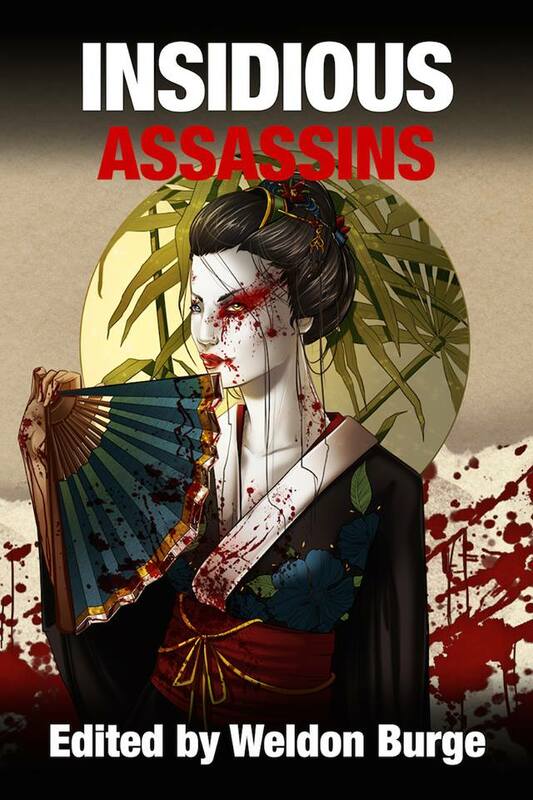 And for you hard-core assassination fans, there’s also a previous Smart Rhino anthology, UNCOMMON ASSASSINS, available, more on which can be found here. My story in this one, “The Wellmaster’s Daughter,” is set a bit farther south in the Sahara Desert and has to do with family relations (see also August 16 2012, et al. ).